Secure a new car for sale that balances power with comfort and safety with sophistication, opt for a 2018 Malibu from Bruce Lowrie Chevrolet in Fort Worth, Texas! Our new and used dealership's sales department will introduce you to the 2018 lineup as well as the comprehensive warranty your new car purchase comes backed by. We know how exciting the thought of a new ride can be, so we've made our entire Malibu inventory available right here on our website so that our Arlington neighbors can get their search started right now. Feel free to start shopping and don't hesitate to use our online booking form to request a 2018 Chevrolet Malibu test drive! And don't hesitate to ask the Bruce Lowrie Chevrolet sales team member assisting you about the Malibu's airbag system, high-strength steel safety cage and the OnStar® Safety & Security Plan that you can enjoy complimentary for an entire month! Opt for a 1.5-liter turbo engine-equipped 2018 Chevrolet Malibu from our car dealership to enjoy an array of fuel-saving technologies like Direct Injection, stop/start technology and Variable Valve Timing. New car shoppers also have the choice of stepping up to the 2.0-liter turbocharged ECOTEC engine that works with a 9-speed automatic transmission to deliver an impressive 250 horsepower rating. Not sure which engine option is right for you? 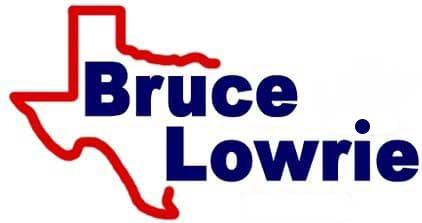 Contact our Bruce Lowrie Chevrolet team. We'll listen to your needs and can go over the benefits and differences of each so that you can make an informed decision. The 2018 Chevrolet Malibu is the high-tech vehicle you're looking for, as it offers a number of programs that help drivers and passengers stay connected and entertained while creating safe driving habits. Visit our new and used car dealership near Arlington, Texas to hear all about the Apple CarPlay™ and Android Auto™ capabilities and to see the wireless charging feature in action! The Bruce Lowrie Chevrolet associate assisting you can also introduce you to the features of the available Chevrolet MyLink system, so make your way over to our convenient Fort Worth location today. From its Rear Seat Reminder to its available built-in 4G LTE Wi-Fi and Teen Driver technology, the 2018 Chevy Malibu delivers! Bruce Lowrie Chevrolet's finance department is here to help you secure the loan package that you're looking for so that you can drive home in a 2018 Chevrolet Malibu. Drop by our Fort Worth Chevy dealership or use our online form to apply for Chevrolet financing services right now! We look forward to introducing our Arlington and Dallas neighbors to the 2018 Malibu lineup and helping you find the trim that suits your needs, wants and personality!